With a 84mm x 99mm, 16mm thick platform. 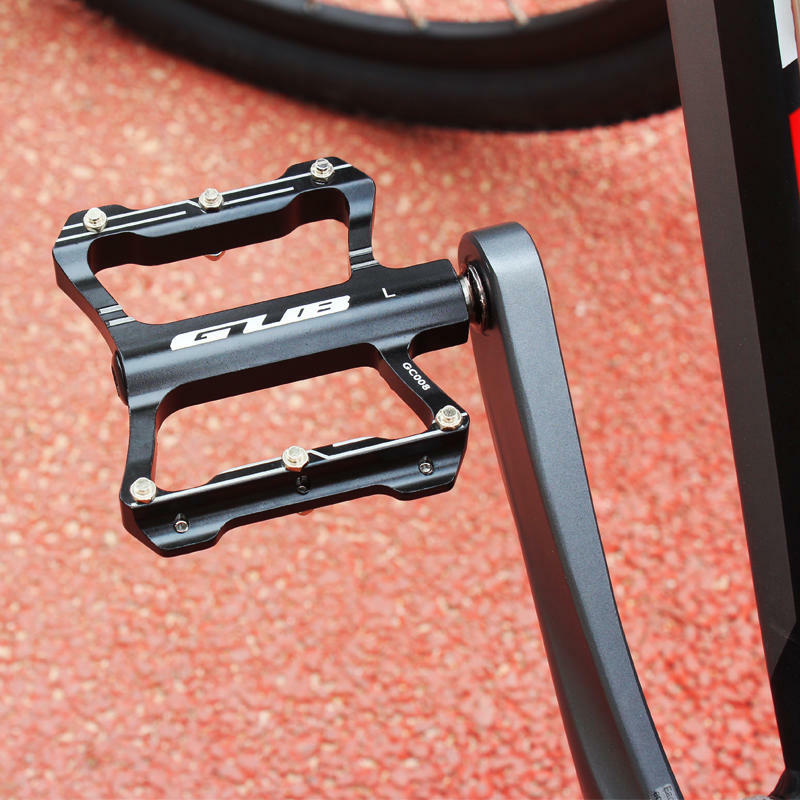 6061 Aluminum alloy construction with hollow pedal platform. Thin yet wide platform increase shoe contact for more stability and control. 6 replaceable per side grip pins for non-slip contact with shoes. Stubby axle make you foot closer to the crank to pedal more efficiently. Rigid platform to minimize your wasted energy and add control.